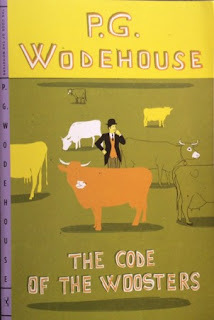 I decided to write short reviews of two books I've read recently - The Code of the Woosters by P G Wodehouse & The Youngest Lady in Waiting by Mara Kay. I enjoyed them both but I know that if I don't write down a few thoughts now, it won't happen at all. 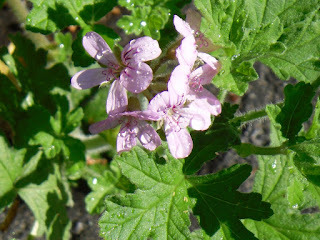 I'm writing this on Sunday & the weather is warming up here as Spring begins. I spent the morning weeding the garden (my triumph was digging out an enormous spider plant. It took ages & then once it was out, it was so heavy, I didn't think I'd be able to heave it into the recycling bin. Phoebe enjoyed jumping out at me from her "hiding" places as I worked my way along the fence & it was lovely to see bees enjoying the lavender & geraniums after all the horror stories recently about the demise of bee populations all over the world) & once the soil warms up properly & I start planting my veggies, I know I'll be spending more of my weekends in the garden than writing reviews. All of which is a long-winded way of saying that short, sharp reviews may be the norm for the next little while. The Code of the Woosters is one of the most famous of all the Jeeves & Wooster novels. It has everything - Aunt Dahlia, soppy Madeline Bassett, lovers parted over misunderstandings, a menacing dog, vengeful magistrates & the attempted theft of a cow creamer. Bertie wakes one morning after another night on the tiles to be summoned by his Aunt Dahlia, who has a proposition for him. Uncle Tom has his eye on a silver cow creamer & he's devastated when his rival, Sir Watkyn Bassett, father of Madeline, snaffles it from under his nose. Aunt Dahlia needs Tom to be in a good mood when she asks him for more money for Milady's Boudoir, her financially challenged magazine. Sir Watkyn has offered to trade the cow creamer to Tom in exchange for his French chef, Anatole. Aunt Dahlia's solution is to ask Bertie to go down to Totleigh Towers, the Bassett country seat, & steal the cow creamer. Bertie is horrified at the thought of losing Anatole but, as Sir Watkyn hates him after fining him (in his capacity as magistrate) for stealing a policeman's helmet, Bertie isn't keen. Then, his friend, newt-fancier Gussie Fink-Nottle, asks for help as his engagement to Madeline Bassett is in peril. Madeline has always imagined that Bertie is in love with her so Bertie is keen to see their engagement continue as it lets him off the hook. Bertie finds himself at Totleigh Towers, planning to steal a cow creamer, keep Gussie's engagement to Madeline on the rails & also help Madeline's cousin Stiffy Byng in her endeavours to get her uncle Watkyn to approve of her engagement to the local curate. I can't remember how many attempts at blackmail & theft (including the theft of another policeman's helmet) occur in just 250pp but there are a lot of them. As always, Jeeves is the one to extricate Bertie from all his troubles even though he's not above a little blackmail himself in the cause of persuading Bertie to take a round the world cruise. There's even some satire at the expense of Sir Oswald Mosley's British Union of Fascists in the form of the Black Short wearing would-be dictator Roderick Spode. It's all reliably funny & very hard to keep track of the plot, which is half the fun of reading Wodehouse. I'm always amazed at how he managed to keep track of the plot himself. 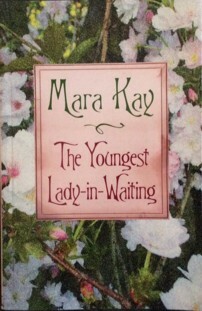 I'm not going to be able to give an objective, reasoned review of The Youngest Lady in Waiting by Mara Kay because it was one of my favourite books as a teenager & I'm just so thrilled that Margin Notes Books have reprinted it so I can read it again after over thirty-five years. This was the book that I discovered in my High School library that sparked my love for Russian history, especially the story of the Romanovs. That would have been in the late 70s & I've been reading about it all ever since. The edition I read has been long out of print & very expensive second-hand but, in a way, it didn't matter because I'd read it so many times that I hardly needed the book. Having said that, I was very happy to be able to get hold of a copy & slightly apprehensive as to how I'd feel about the book after so many years. Would it live up to my memories? I sat down on a cold Sunday evening a few weeks ago, put on some Russian music (Glinka & Tchaikovsky) & read the whole book in one sitting. I loved it & I was amazed that so much of the story came back to me, even down to scenes & phrases. I had forgotten that Glinka himself makes an appearance in the book during the St Petersburg floods so it was lovely to be listening to his music as I read. Masha Fredericks (first introduced in Masha, also reprinted by Margin Notes Books) is an orphan who has been educated at the Smolni Institute, a school for the daughters of the military & nobility, in St Petersburg. Masha has been noticed by Grand Duchess Alexandra, wife of Grand Duke Nicholas, brother of Tsar Alexander I, & is about to leave school & become the Grand Duchess's lady in waiting. Her best friend, Sophie, is going home to a father she barely knows. Masha & Sophie have been inseparable at school & are determined not to lose touch. Masha falls in love with Sophie's dashing cousin, Sergei, & is swept up in the excitement of first love. She also meets Sergei's quieter, more thoughtful brother, Michael, & they become friends. Sergei is part of a group of young nobles who want to push for reform in the authoritarian Russian state. When Tsar Alexander suddenly dies & Grand Duke Nicholas becomes Tsar, there is unrest, exploited by the Army who wanted Nicholas's brother, Constantine, to succeed, & Sergei & his friends, including Sophie's fiancé, Mark. Masha is horrified by Sergei's plans & stays loyal to the new Tsar, bound by loyalty to the family. Sergei rejects her & rushes out to join his friends, called the Decembrists, in their rebellion. I remembered so much of this story - the scene where Masha & Sergei stand on a plank over a puddle on a St Petersburg street & she realises that he cares for her; Sophie's Aunt Daria & her old country dacha, Rodnoye, with the household spirit, the Domovoy, flitting about the house, just out of sight. Masha's encounter with an old man who may or may not be Tsar Alexander, rumoured to have faked his own death & to be living as a holy man in Siberia. In some ways, The Youngest Lady in Waiting is just a historical romance, full of the cliches of Tsarist Russia - the glittering parties, the sleigh rides though the snow with the bells on the troika tinkling, the aristocrats on their dachas & the downtrodden serfs. But, seeing it through Masha's eyes, a shy young girl with no advantages & no expectations, is quite wonderful. This was probably the first book I'd ever read about Russia & I went on to read many more historical romances by Constance Heaven, Catherine Gavin, Cynthia Harrod-Eagles' Kirov trilogy & Victoria Holt. I also picked up Anna Karenina & Robert K Massie's Nicholas and Alexandra (the Readers Digest condensed version first), which started me on a reading journey that continues to this day. Thanks for that Lyn! We watched the DVDs of Jeeves and Wooster with Stephen Fry and Hugh Laurie and thoroughly enjoyed them, the book is now on my Lyn List. I have the Jeeves & Wooster DVDs but I'm ashamed to say I haven't watched them yet. I have a DVD tbr as well as all the books... The books are good because you can read them in any order, I hope you enjoy it. My husband is the biggest Wodehouse fan in the world, owns all the books, has read them numerous times and we have the tv of Jeeves and Wooster as well as the Blandings series. I love the one you have written a review of. Luckily I still have many more Wodehouses to read. I'm glad he was so prolific! I picked up quite a few of the Arrow reprints when they were remaindered so I can pick one up from the tbr shelves whenever the mood strikes.